As a family-owned and operated business, we have a deep understanding of our clients’ needs. We know the kind of products that will add value and beauty to their gardens or landscaping. This is one of the reasons why most Michigan homeowners and landscape contractors choose our shop to get their needed garden accessories and materials. Please visit our shop and see for yourself our extensive collection of garden supplies that are also perfect as garden gifts. 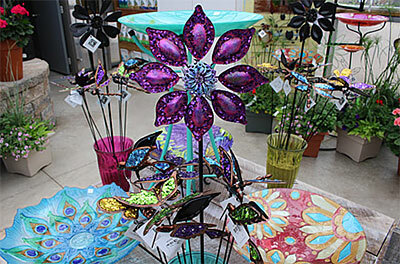 From beautiful statuary and birdbaths to stylish garden decors, we have them in our inventory. If you're from Cadillac, Jennings, McBain, Gilbert, Arlene, Lake City, Hobart, Tustin, Bristol, or Marion, MI, we urge you to visit us now or call (231) 775-9362 to get a comprehensive list of our garden products.